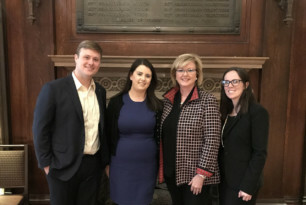 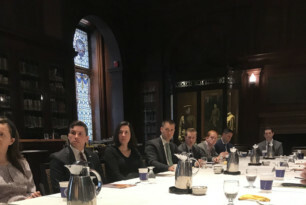 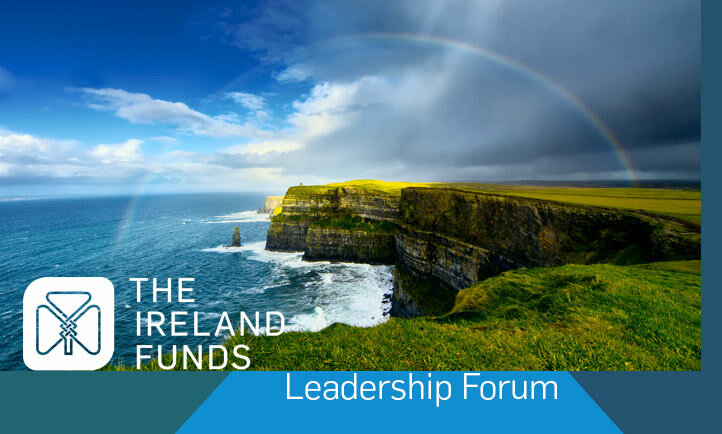 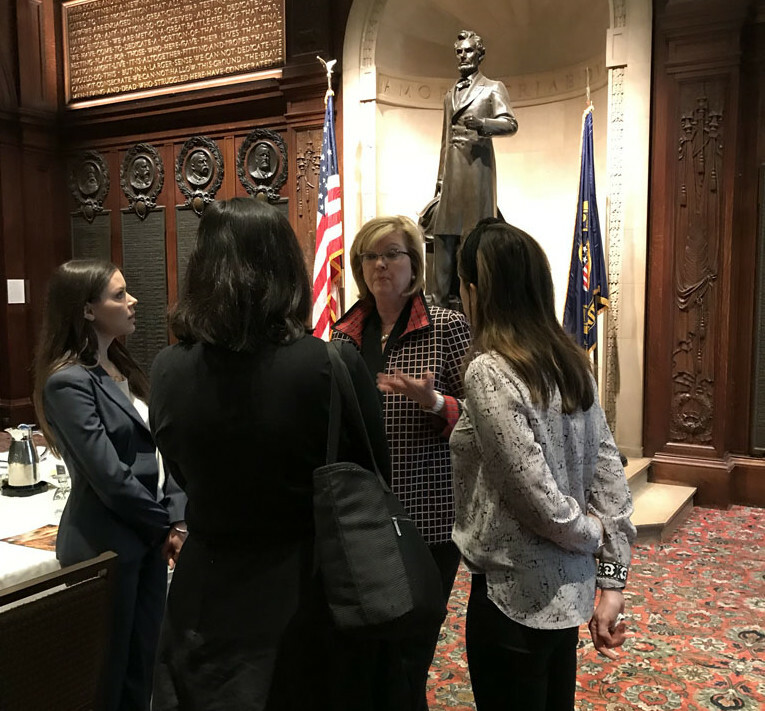 On the morning of April 18, the Philadelphia Young Leaders gathered at the Union League to hear from Eileen McDonnell, Chairman & CEO, Penn Mutual. 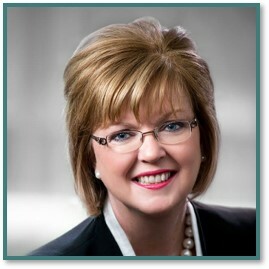 A proud Irish American, Eileen is the first woman to hold both these positions in the history of Penn Mutual. 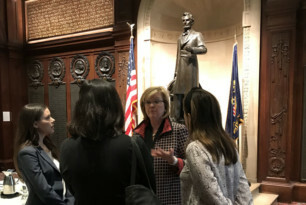 Eileen spoke about her own career and her path to her current position emphasizing the importance of doing something you love and the value of a work-life balance along with being a woman in a male-dominated industry. 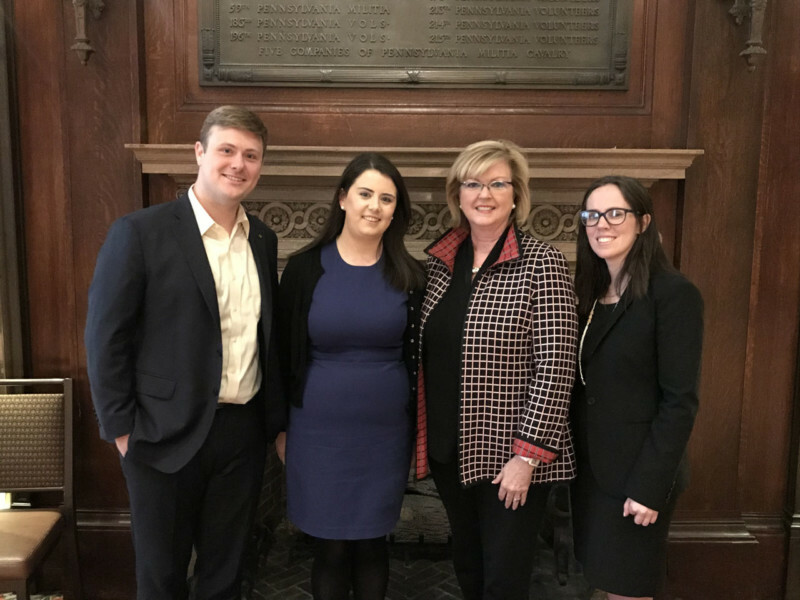 She talked warmly about her Irish heritage with all four of her grandparents emigrating from Ireland and how that has helped shaped her. 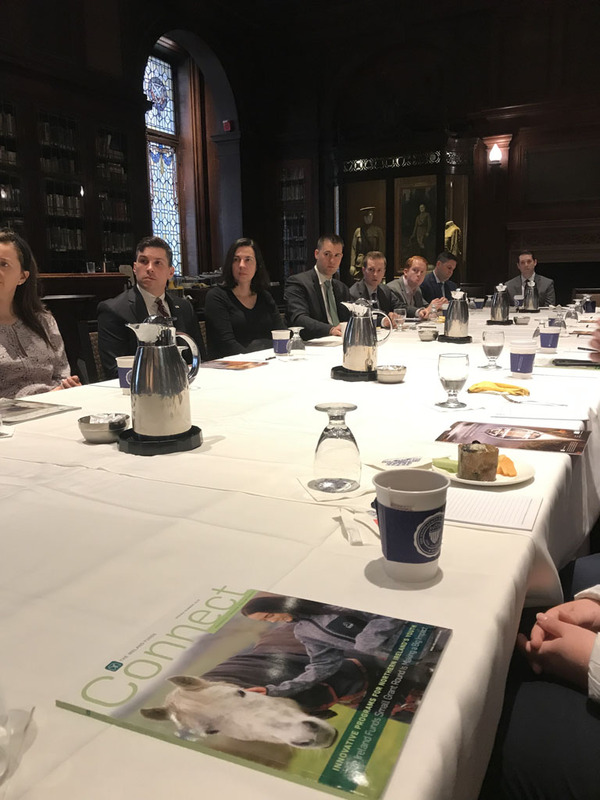 Many thanks to Eileen for taking the time to speak to the group and to Aaron Steffey for hosting the group at the Union League.